One Spark 2018 is more than a festival—it’s a hub where all types of entrepreneurs, businesses and communities can come together and share ideas. This April 6-7, you’ll find new ways to experience this game-changing year at One Spark, as Daily’s Place will be transformed into a city of innovation. So what’s new: Spark* Zones and Idea Zones designed to inspire and entertain. Experience demonstrations, interactive learning, live voting, a state-of-the-art amphitheater and VIP lounges. 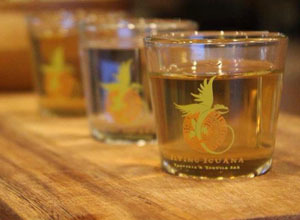 All this along with live music, local food, craft beverages and local culture. This year, The Spark Exchange will allow attendees to vote in real time for their favorite creators, ultimately deciding the 2018 Creator of the Year—taking home cash prizes, startup packages and bragging rights. Select Creators will also be invited to participate in the Spark Tank competition, where they will compete for $25,000 in funding. Your ticket includes access to the Idea Fest which takes place between 12 pm–8 pm and One Spark After Dark, 6 pm–11 pm, featuring an exclusive after-hours experience with live music, food and drinks. Freedom Boat Club is opening another area location at Beach Marine, 2315 Beach Boulevard, in Jacksonville Beach. Their other locations in the area are Palm Valley Outdoors, near Nocatee at 377 S. Roscoe Blvd, Julington Creek Marina in Jacksonville and Camachee Cove Marina in St. Augustine as an option to members. When you join a fitness club, you don’t expect to see a constant stream of upgraded equipment. When you join a golf club, you don’t expect the course to be improved every year. Those are not realistic expectations. But members of the Freedom Boat Club know through experience that “new and improved” is not a marketing slogan or wishful thinking; it is a REALITY. Fifteen Freedom Boat Club boats will be available for members at Beach Marine. When you belong to the Freedom Boat Club, you not only leave the worries behind, you also don’t have to fret over aging facilities or deteriorating equipment. Freedom Boat Club was founded in Venice, FL. in 1987. It has more than 145 locations and 16,000 members. In Jacksonville, the fleet has grown from four to 80 boats in six years. The newest location is scheduled to open on April 12. BRIO Tuscan Grille Jacksonville is located at The Markets At Town Center on 4910 Big Island Dr.,Jacksonville, FL 32246. BRIO (meaning "lively" or "full of life") is a "polished casual" restaurant serving authentic, northern Italian cuisine. The subtitle, "Tuscan Grille" is descriptive for a menu that features oven-roasted steaks, chops, and seafood; similar to what one would find in an authentic ristorante in Tuscany. BRIO's philosophy of "to eat well, is to live well" is why they only use the finest and freshest ingredients. BRIO brings the pleasure of a Tuscan country villa to the American city. The Dallas Cowboys have obtained a new weapon for Dak Prescott. Two days after taking a free-agent visit to Dallas, wide receiver Allen Hurns has agreed to a two-year deal with the Cowboys. The deal is worth $12 million, according to multiple reports. An undrafted free agent out of Miami (Fla.) in 2014, Hurns spent his first four NFL seasons with the Jaguars. His best year came in 2015, when he caught 64 passes for 1,031 yards and 10 touchdowns. Injuries the past two seasons kept Hurns below 40 receptions and 500 yards each time, though he also played in an offense geared to run the ball and often hampered by quarterback Blake Bortles' inconsistency. In Dallas, Hurns will compete for snaps with Dez Bryant, Cole Beasley and Terrance Williams in a passing offense that ranked 26th in 2017. 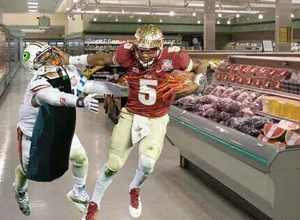 Heisman trophy-winning quarterback Jameis Winston was cited for shoplifting $32.72 worth of seafood at a Publix grocery store in Tallahassee, Fla., on Tuesday night, Leon County Director of Law Enforcement Michael Wood said in a news conference Wednesday. He left with crab legs and crawfish. Before leaving the Publix, he put back the butter he had in his cart but left with the other items. We aren't sure what he was thinking but he is back in the spotlight with now indisputable video evidence. Wood said Winston left the supermarket at 800 Ocala Road without paying for crab legs and crawfish shortly before 9 p.m., and when police arrived at his residence after midnight Winston said he "forgot" to pay upon being interviewed. "He was very cooperative and he seemed fairly honest in that he did not pay for the item," Wood said. 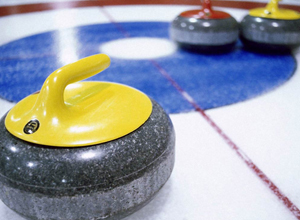 Jacksonville has been selected as the site for the 2016 USA Curling National Championships. This will be the first time that a curling national championship will take place in the Sunshine State. 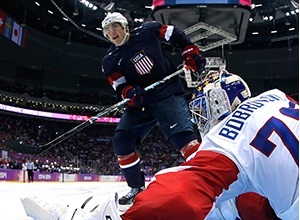 The Jacksonville Veterans Memorial Arena will serve as the venue for the event, which will be staged Feb. 6-13, 2016. 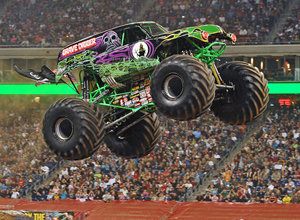 “We extend a warm welcome to a cool sport,” said Jacksonville Mayor Alvin Brown. “Jacksonville has become a premier venue and destination for a wide range of major sporting events, and we’re honored to have the 2016 Curling National Championships in our city. We look forward to hosting America’s top curling teams, as well as their fans from far and wide.” The weeklong national championships feature the top 20 men’s and women’s teams competing for the chance to represent the U.S. at the 2016 world championships. 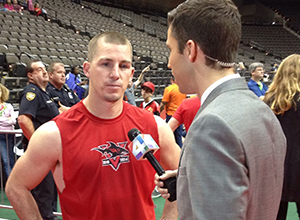 JACKSONVILLE – Taking advantage of an opportunistic defense that forced five turnovers, the Jacksonville Sharks improved to 2-0 at home on Friday night, beating the Tampa Bay Storm by a 60-41 count on Sea Best Field at the Jacksonville Veterans Memorial Arena. Jacksonville (2-2) jumped out to an early 13-0 lead thanks to the first of those turnovers. After R.J. Archer opened the game with a one-yard touchdown run. Tampa Bay (3-2) quarterback Randy Hippeard lost control of the snap on the Storm’s ensuing drive. Jack linebacker Charlie Hunt pounced on the loose ball to set the Sharks up at the Storm 16. On the very next play, starting quarterback R.J. Archer took a hard hit and left the game for one play and Aaron Garcia stepped on to the field wearing a Jacksonville uniform for the first time since 2011. Garcia needed just one snap to make an impact, throwing Mardy Gilyard open for a diving 24-yard touchdown catch that gave the Sharks that two-score lead. JACKSONVILLE, Fla. - Fans will notice some changes to Bragan Field when the Jacksonville Suns open the 2014 season against the Huntsville Stars on Thursday April 3 at Bragan Field. The Suns will open their season on Thursday, April 3rd at 7:05 and will be home for five games through April 7th against the Huntsville Stars. Don't miss Opening Night and a special ceremony for the unveiling of the Legends of Jacksonville Baseball at 6:00 P.M.
Tickets for all Suns home games are currently on sale through the Suns Box Office at (904) 358-2846, or online at www.jaxsuns.com. Tickets are $7.50 for general admission, $10.50 for reserved seating and $13.50 for Homeplate Box seating. Limited sponsorships, season tickets and group packages are still available. In this video from the Suns Baseball Network, changes to the nets and infield surface are examined, along with a behind-the-scenes look at the Suns clubhouse. 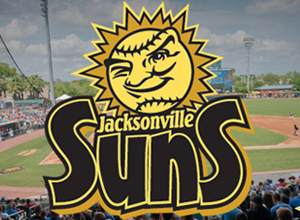 The 2014 season is presented by Everbank, official banking partner of the Jacksonville Suns. The Suns are the Double-A Affiliate of the Miami Marlins and a member of the Southern League of Professional Baseball. Here we go again…Cold and flu season is right around the corner, and prevention is the best medicine. But when you already have a bug, getting rid of it and feeling normal again is the goal, right? Well, did you know that you can fight back by eating to boost your immune system? Cold medicines generally only manage symptoms and do not actually cure the illness, but with nutritional support you can supply your immune system with what it needs to help you beat that cold or flu bug. If taken immediately at the first signs and symptoms of a cold, supplements derived from the Echinacea herb are known to reduce severity and duration. 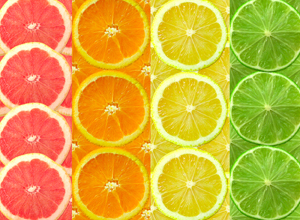 The same is said to be true for a 1,000 mg dose of Vitamin C taken daily. The benefit of taking either supplement may lead to shortening the amount of time you have a cold and/or making it milder. 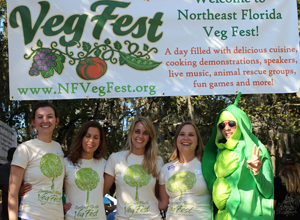 This Saturday is Veg Fest at Riverside Park. 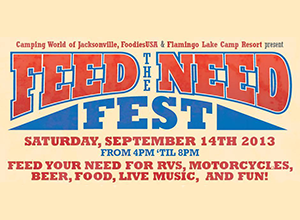 The day-long event will feature live music, dynamic speakers, cooking demonstrations, beer garden, kids' zone, pie-eating contest, exceptional freebies, raffles, scavenger hunt and much more! 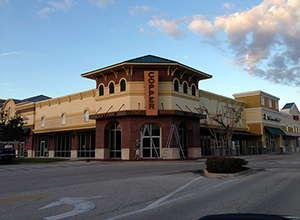 Copper Tap House located on the corner of Beach Blvd and Hodges plans on having their grand opening on October 28th. The tap house will feature over 24 beers on tap as well as a craft food menu. Chef inspired favorites like the snapper sliders will be one of the tasty entree's you can get at the new spot. The tap house will feature a custom bar built out of 48,000 pennies that took over 200+ man hours to complete. There will be plenty of seating at peak house and the owners plan on having nightly entertainment. The tap house also boast a stage with high end lighting and sound. 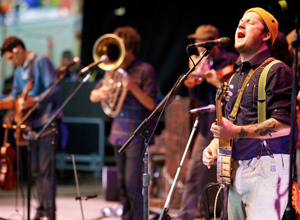 St. Augustine, Fla. (May 26, 2015) – The St. Augustine Amphitheatre, in partnership with Jax Live Presents, proudly announce the return of indie rock band Modest Mouse to the St. Augustine Amphitheatre on Friday, July 17, 2015. Tickets for this concert event will go on sale to the general public this Friday, May 29 at 10 a.m. Modest Mouse are one of the most surprising commercial success stories of the new millennium – while their music is by turns taut and elliptical, and the lyrics sometimes cryptic and introspective, the band broke through the mainstream audience with the platinum-selling Good News for People Who Love Bad News and they became genuine rock stars at a time when their musical peers remained cult figures. 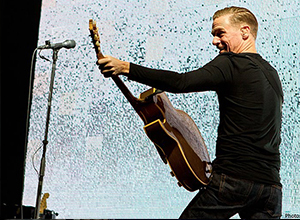 St. Augustine, Fla. (May 11, 2015) – The St. Augustine Amphitheatre proudly announces that rock superstar Bryan Adams will be plugging in once again and hitting the road with a full band to celebrate the 30th Anniversary of the multi-million selling album Reckless. The tour will make a stop at the St. Augustine Amphitheatre on Sunday, June 28, 2015. Tickets will go on sale to the general public this Friday, May 15 at 10 a.m.
Adams will be performing a set that will honor not only the 30th Anniversary of Reckless – a deluxe version of which has been released via UMC/Polydor this past November, featuring exclusive expanded bonus material – but also his endless catalogue of anthemic hits. 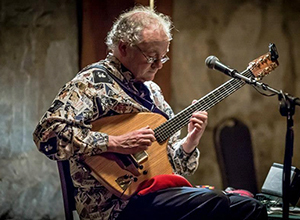 Ponte Vedra Beach, Fla. (May 12, 2015) — The Ponte Vedra Concert Hall proudly announces that renowned guitarist Adrian Legg and multi-instrumentalist David Lindley will perform on Thursday, November 12, 2015. Tickets for Adrian Legg and David Lindley will go on sale to the general public this Friday, May 15 at 10 a.m.
Ponte Vedra Beach, Fla. (May 11, 2015) — The Ponte Vedra Concert Hall welcomes classic hard rock trio The Winery Dogs on Wednesday, October 14, 2015. Tickets go on sale to the public this Friday, May 15 at 10 a.m. 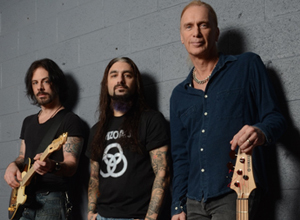 It would be easy to call The Winery Dogs a supergroup: Vocalist and guitarist Richie Kotzen made his mark with Poison and Mr. Big, bassist Billy Sheehan has been rocking for decades with Steve Vai, David Lee Roth, Mr. Big and others, and drummer Mike Portnoy was the co-founder of progressive metal superstars Dream Theater. But The Winery Dogs are so much more than a supergroup. Supergroups are usually short-lived entities composed of gifted players that jam out for little while and then quickly record with the hopes of catching lightning in a bottle. That's certainly not the case with The Winery Dogs, a cohesive, well-rounded classic-sounding trio with blazing songs that defy expectation. The group’s self-titled debut is filled with straightforward rock and roll inspired by some of their favorite bands, and their music transcends any of the styles they're best known for. St. Augustine, Fla. (April 27, 2015) – The St. Augustine Amphitheatre proudly welcomes contemporary country quartet and 2015 ACM Awards Vocal Group of the Year, Little Big Town, on Saturday, October 17, 2015. Tickets will go on sale to the general public this Friday, May 1 at 10 a.m.
Coming up on May 22nd from 9pm-2am at Blackfinn and in the surrounding parking lot at the St Johns Towncenter, there will be a huge Memorial Day Freedom Bash. 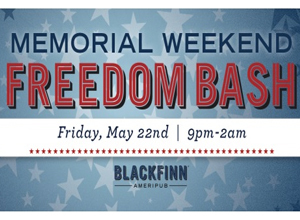 Blackfinn Ameripub teamed up with Combat2College, Inc., Children of Fallen Patriots Foundation, Veterans United Craft Brewery, 904 Happy Hour, Ole Smoky Tennessee Moonshine and more to bring you this All American Event! Enjoy great food, drinks, friends and live music to help raise money for local veteran and military non profits! With a voluntary $5 donation you will receive a complimentary cocktail and raffle ticket. Part of the proceeds from their specialty Ole Smoky Tennessee Moonshine drink menu and Scout Dog 44 will also be donated to these great organizations. Combat 2 College is an organization who provides a bridge that connects veterans, service members, and their family members to resources in order to facilitate their success in post-secondary or higher education. Children of Fallen Patriots Foundation provides college scholarships and long term educational counseling to children of fallen patriots. This organization honors the lives of those who have sacrificed themselves for our country, ensuring the success of the ones they love. JACKSONVILLE, Fla., Feb. 17, 2015 – The eagerly anticipated vision to transform the Shipyards riverfront downtown property into a vibrant entertainment and leisure district was presented today by Jaguars owner Shad Khan and team president Mark Lamping on behalf of Iguana Investments, a new development entity created by Khan specifically for the Shipyards project. The property, which encompasses approximately 48 acres of City-owned property on the north bank of the St. Johns River, is central to Khan’s long-stated vision to bring new life and positive economic impact to Jacksonville’s urban core. 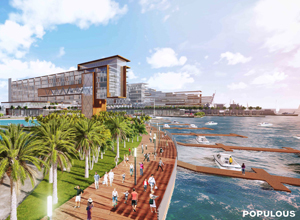 By creating a year-round destination that bridges EverBank Field and the Sports Complex to Downtown Jacksonville, Khan said the Shipyards project – should it become reality – promises to serve the entire region for generations to come. 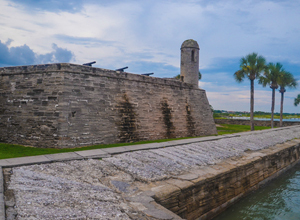 The Castillo de San Marcos will celebrate Presidents’ Day weekend by offering free admission on Saturday, Sunday, and Monday, February 14, 15, and 16, 2015. On Monday, February 16, the Castillo will honor African American History Month with some special programs. On Monday, February 16, at 10 a.m., noon, 2 p.m. and 4 p.m., Ms. Bernadette Reeves will present, “Unsung Heroes,” a dynamic tribute to prominent local African Americans who have contributed to the ongoing struggle for dignity and racial equality in St. Augustine. The presentation will include dance, music, and spoken word to honor these great men and women. Also on Monday, February 16, Janiyah Jackson, of West Augustine’s Kids Safe Zone, will present a dramatic recitation of President Abraham Lincoln’s “Gettysburg Address” at 11 a.m. and 1 p.m.
ST. AUGUSTINE, Fla. (January 15, 2015) – The Spring 2015 St. Augustine Record Fair, presented by local record store ToneVendor and the St. Augustine Amphitheatre, will be held Sunday, March 22 from Noon to 6 p.m. at the St. Augustine Amphitheatre. This event is free, family-friendly and open to the public. On Sunday, March 22, music lovers and collectors can shop over 35 tables featuring thousands of new and used vinyl records, CDs, music memorabilia, collectibles, turntable supplies, posters and other unique music-related items. This year’s Record Fair will be the largest ever held at the St. Augustine Amphitheatre with over 20 dealers from across the Southeast. 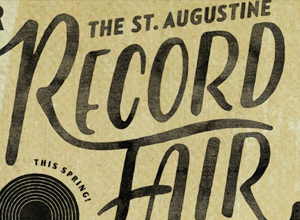 The Spring 2015 St. Augustine Record Fair will also feature live music by several local bands, live DJ sets by Jake Brown of Hear Hear DJs and children’s activities including a bounce house, art activities and face painting. Food and drinks will be available for purchase onsite and there will be ample free parking in the Amphitheatre parking lot.